Present to you my beloved recipe of coconut rum pecan banana bread – a sneaky twist on a classic banana bread. This recipe results in a super moist, delicious banana bread that’s packed with coconut flavours, enhanced with a touch of rum aroma and a nutty crunch. Do you guys have a favourite thing to make? People around me asked me that many times before and I usually couldn’t provide a definite answer. Yet, I guess there’s been an answer inside my heart all along – quick bread. Quick bread is any bread that can be made in a matter of minutes without necessarily using yeast in the process. In other words, they’re my kind of comfort food; quick and easy. It might be a bit embarrassing to say – at the earliest stage of my baking life, I didn’t have any baking tools except a loaf pan in my student dorm kitchen. To satisfy my hungry soul, what I did was keep exploring and trying out as many loaf recipes found online as possible. This crazy experiment resulted in many delicious loaves coming out of my oven (and inevitably some weight gain as well, but who cares? jk lol). As you may already know, the key to amouth-watering banana bread is using OVERRIPE bananas. Yeap, if you don’t have them ready at home, you have to wait until all the banana skins have almost turned black and rotten. This is when the bananas have become mushy enough and, of course, the sweetest as most of the starch content is broken down into sugar. Trust me, it is totally worth the patience. Why wait? 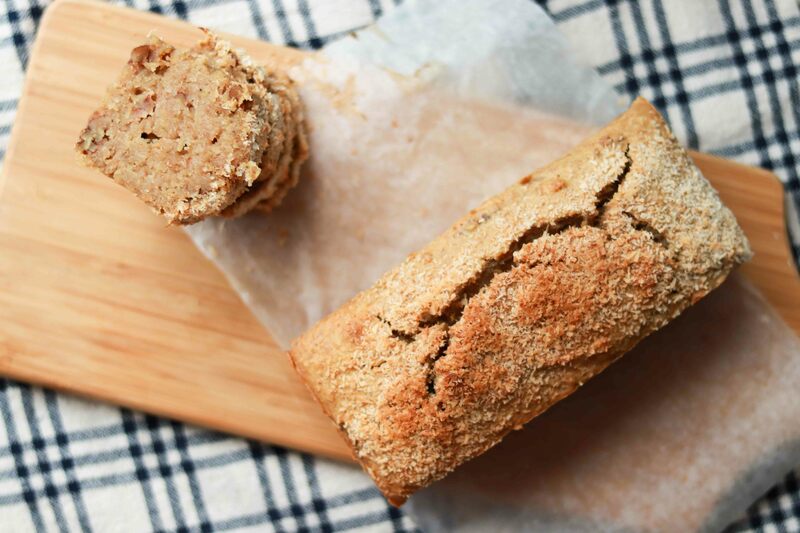 Provide your friends and family with the best banana experience by serving big slices of this banana bread as their breakfast or afternoon snack. In a bowl, sift in and combine well the flour, cinnamon, baking powder, and salt. In another bowl, using an electric mixer, beat butter and sugar for 3 mins until fluffy. Add eggs, one at a time, and continue beating for 1 min. Add mashed bananas, coconut milk and rum, and continue beating until incorporated. Pour in the dry ingredients into the mixture in three batches, stirring continuously. Add in shredded coconut and pecans. Stir the batter gently with a spatula until everything is just incorporated. Pour the batter into the prepared loaf pan. Sprinkle some shredded coconut on top. Tap the pan several times to break any air bubbles. Bake the cake for 50-55 mins, or until a toothpick inserted in the cake’s centre comes out clean. Thank you:) yeah do try it out as it takes no time at all!